An import of Russian wheat. 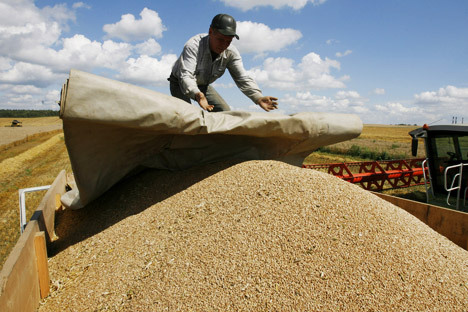 China to accept Russian wheat in the dry port of Manzhouli. A month after Beijing lifted a near two-decade ban on Russian wheat, Russia will export the commodity to China’s Inner Mongolia region. The dry port of Manzhouli, Inner Mongolia will be used as a point of transshipment for wheat imported from Russia, the head of the Heilongjiang province's Association of Applied Economics, Zhang Chunjiao, told Interfax. In December 2015, China lifted a ban on the import of Russian wheat, which was imposed in 1997. The lifting of the ban was a part of a protocol on phytosanitary regulations for imports of Russian agricultural products to China. In 2016 Russia plans to export up to 350,000 tons of wheat to China, according to Vedomosti.